Aromatic essential oil is the oldest form of medicine and cosmetic known to man. During the ancient times, a variety of essential oils were considered more valuable than gold since they aid in healing various forms of ailments and diseases. Indeed, for thousands of years, our ancestors relied on various types of essential oils to treat afflictions and conditions like hair loss and hair thinning problems. These essential oils are volatile liquids extracted from the roots, leaves, barks, stems, flowers, and seeds of different herbs through distillation. Today, different types of essential oils serve as natural hair loss treatment agents. Not only do they prevent the onset of hair loss but they also encourage the growth of healthier hair follicles and enhance the quality of the hair. Whether you want to regrow healthier hair strands or trying to prevent hair loss, various types of essential oils with cleansing, nourishing, and condition properties will help you do this. There are four main categories of essential oils for natural hair loss treatment—balancing, immune supportive, nutritive, and stimulating. They are categorized as such depending on how they affect the hair follicles and the scalp. 1. Balancing Essential Oil — endorses harmony between the extremes of dry and oily scalp. This type of essential oil provides a cooling effect for overheated hair follicles due to hairstyling tools like permers, straighteners, and curlers. Clary sage, geranium, lavender, and green myrtle are specific examples of this type of essential oil. 2. Immune Supportive Oil — supports hair regrowth with its immune-enhancing and anti-bacterial properties that impede hair loss–causing bacteria and fungi. Examples of this oil type are myrtle, cedarwood, and thyme. 3. Nutritive Essential Oil — counterbalances oxidative damage done to the hair follicles’ mitochondria, encouraging the growth of stronger hair follicles. 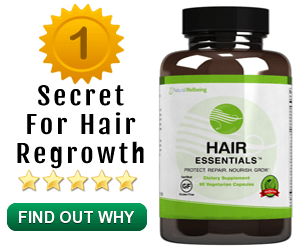 It also contains vitamins, fatty acids, and growth co-factors for healthier hair regrowth. Carrot seed and sea buckthorn are primary sources of this type of oil. 4. Stimulating Essential Oil — contains ketones, a natural element that improves metabolism at the cellular level, encouraging the growth of healthier hair follicles. Rosemary and sage are herbs made famous for being a source of this oil type.